This is a photo of children and their teacher in a classroom at Khelaghar. 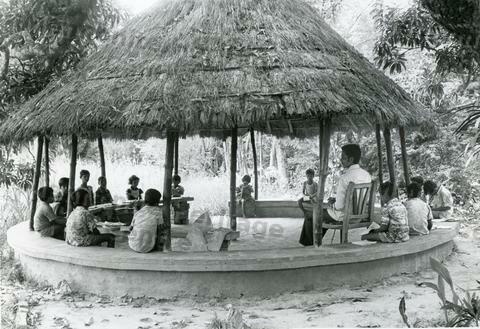 The classroom is a round structure with a low wall, open sides and a thatch roof supported on bamboo poles. The teacher is sitting on a chair and the children are on the low wall.